Unlike its rival city Penang (read: 10 Must-Try Halal Foods in Penang Island), Kuala Lumpur is not exactly known for its foods. 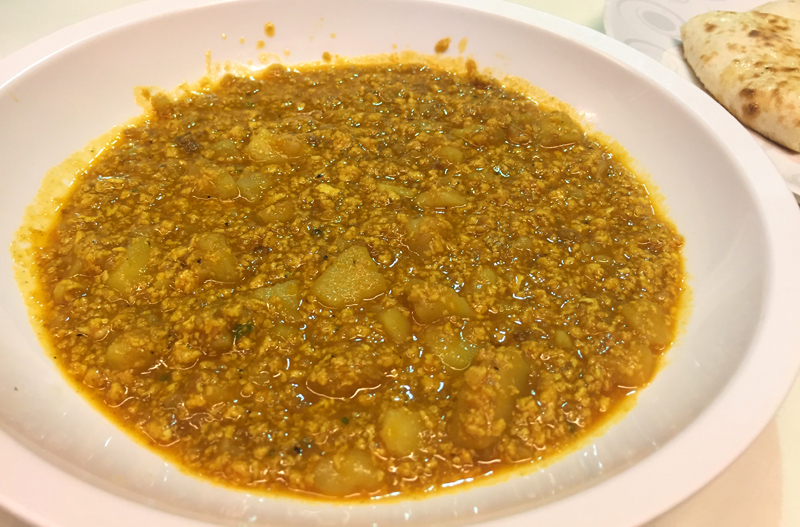 Local Malaysians, especially Penangites, would often boast about life-changing foods that Penang can offer, which can’t be compared to the ones that are found in KL. The great thing about KL is that the city is a melting pot of different cultures. No only that people from different parts of Malaysia live here to study or work, foreigners from neighbouring countries in Asia and Europe also migrate here and make this city as their home. As a result, you can find a variety of restaurants and eateries from different cultures for people with all sorts of budget constraints. Fusion restaurants are also scattered everywhere in the city. 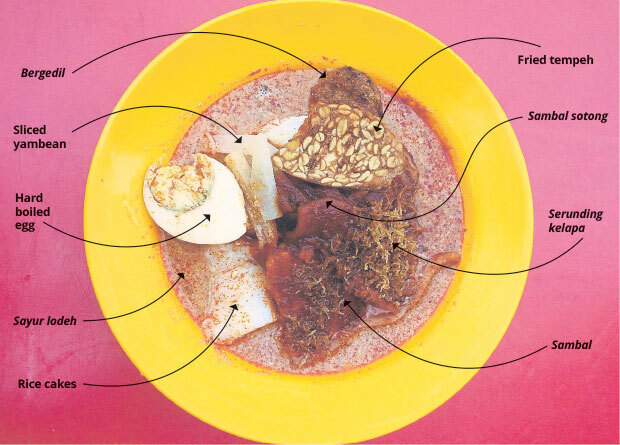 I found this article about the top 10 budget eats in KL and I did not agree to most of the suggestions in the list. These restaurants are not exactly what locals define as “cheap”. They are overrated too! 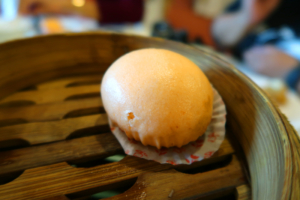 So, here is my version of the best local foods in Kuala Lumpur, in no particular order. These are the places that my Malaysian husband, friends, and I love to go to eat and hangout. Forget about the Sri Nirwana Maju Restaurant, which is the more famous and pricier eatery than its next door rival. Devi’s Corner is the new favourite for the fans of banana leaf rice. 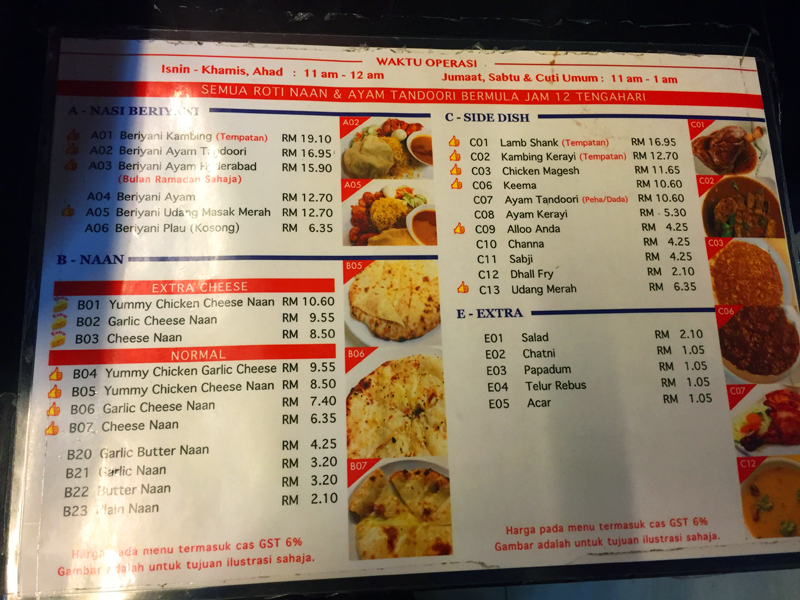 The restaurant is located nearby the Sri Nirwana Maju, at the corner of the Telawi 4 Street. Banana leaf rice is served on the second floor of the restaurant, which is slightly secluded. 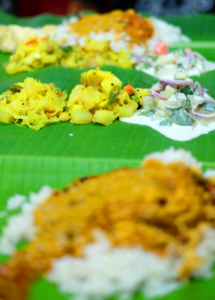 As soon as you reach the second floor, you will see many people enjoying their banana leaf rice. According to my Indian friend (from India! ), Devi’s Corner’s banana leaf rice taste better than the Sri Nirwana Maju. Well, I wouldn’t want to challenge the Indians, but I do agree that the curries in Devi’s Corner have richer taste compared to its competitor. When it comes to the price, Devi’s Corner seems to be slightly cheaper than its rival. Banana leaf rice costs RM 7.5 per person. Try the crab curry — it’s the BOMB! Mango lassi (yoghurt drink), which is my favourite, costs RM 8. 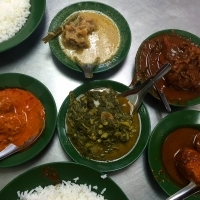 Devi’s corner is a 10-15 minute walk from the Bangsar LRT station. Alternatively, you can take a taxi/uber/grab from the station for RM 4 or above. RSMY officially has the best cheese naan you can ever find in town! 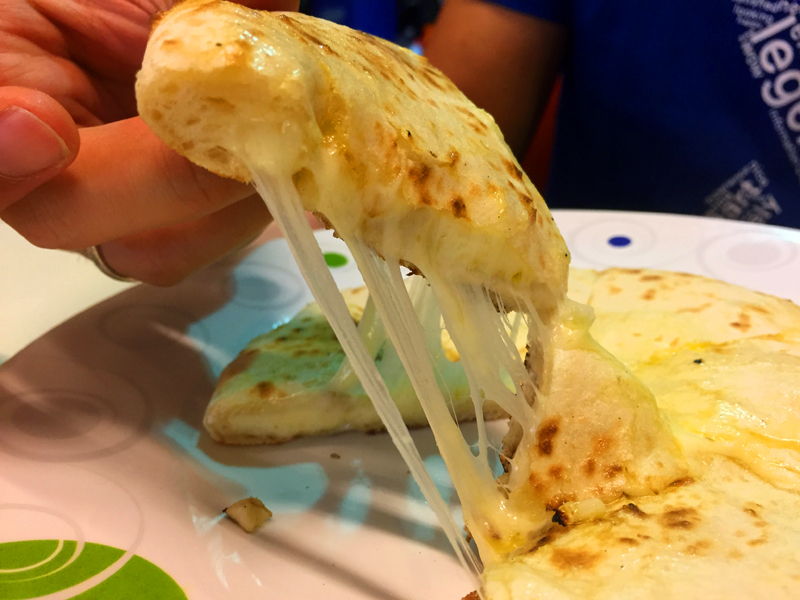 The mozzarella cheese really melts in your mouth. 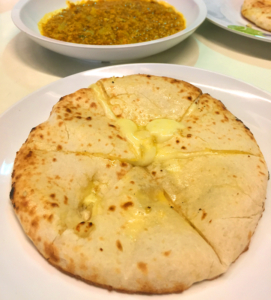 The variety of tasty curries complements the cheese naan to make a completely delicious meal. Try the kambing kerayi, keema, alloo anda, and dhal fry. If you are a vegan, you may opt for a garlic or plain naan with dhal fry which is completely vegetarian. The RSMY restaurant is a few minutes walk away from the Medan Tuanku monorail station. I am not a fan of nasi lemak as I do feel that the Indonesian version of nasi uduk is much better than the Malaysian nasi lemak. But when I want to hang out with friends without spending so much money, I would come here! This is a food court, which has a number of different foods you can choose. The most famous one is nasi lemak, of course. 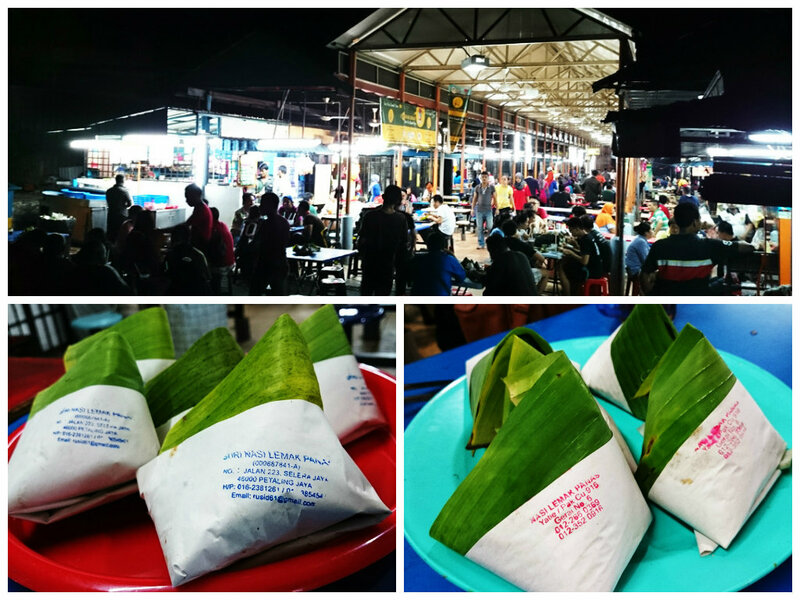 There are two famous nasi lemak stalls, running almost side by side: Suri, with the blue stamp and Yatie, with the red stamp. I prefer Suri’s nasi lemak as the sambal is spicy and has more flavour. Yati’s nasi lemak has a sweet sambal taste. The price is RM 1.5 per packet (yep, no kidding). Don’t forget to order a glass of milo ice kaw (super thick chocolate milo!) and a set of perfectly cooked half boiled egg. The kambing (lamb) soup is also not bad at all! In order to reach Selera Jaya 223, you can go to the Asia Jaya LRT and take Uber/Grab from there. 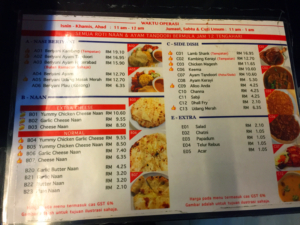 Halal wanton mee is not something you can find easily here as most of them are non-halal. But we found a pork-free wanton mee at Berjaya Restaurant in Bangsar! My husband (who is a Chinese) really loves this place and we go there almost every weekend for lunch. There is also an Indonesian Padang food (which is surprisingly really good!) that you may want to try. Berjaya is a 10-15 minute walk from the Bangsar LRT station. Alternatively, you can take a taxi/uber/grab from the station for RM 5 or above. 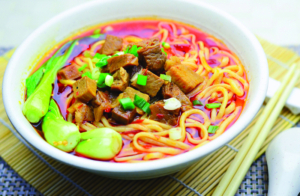 Mee tarik is a handmade pulled noodle originated from Lanzhou, China. It is also known in Chinese as lamien. 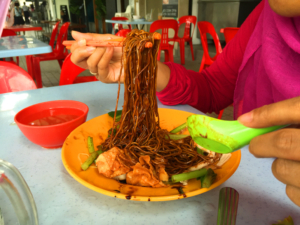 Mee Tarik Warisan Asli was first opened in Sungai Besi, KL by Chinese migrants from China. It gained huge popularity among the locals here and eventually, the owner opened more branches in different parts of Klang Valley. You can find some small stalls in KL Sentral food court (nearby the LRT/KTM entrance) (it has closed down!) and KLCC food court, serving a limited menu, if you do not have time to go to the Sungai Besi branch, which is quite far from the centre of KL. The noodle is freshly made by hand so it tastes very nice by itself. There are two kinds of dish: dry noodle and wet noodle. For dry noodle, my favourite is the “wet mee ziran mutton”. For the wet noodle, I love the spicy “mee soup with braised beef”. Depending on the noodle, the price costs between RM 8 – 15 per plate. The Sungai Besi branch is a 10-minutes walking distance from the Sungai Besi LRT. 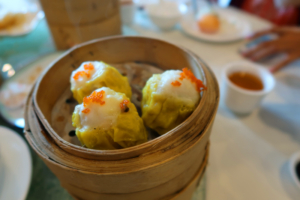 I’ve tried dim sums in many halal restaurants like Dolly Dim Sum, Minmax Restaurant, and other halal establishments, but I have to say this is the best dim sum place that my husband and I have tried. We visit this place very often, sometimes every weekend! The restaurant has a very reasonable price as compared to Dolly Dim Sum and it offers 15% discount in the weekend for all dim sums. 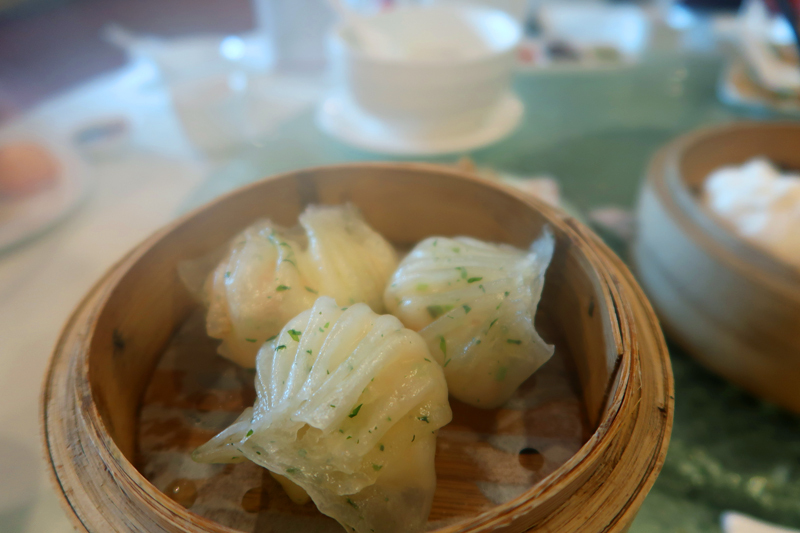 The dim sums are only served during breakfast/lunch time, 10:30 AM to 3 PM (Mon-Sat) and 10 AM to 3 PM (Sun). Dinner is not actually affordable so I never go there for dinner. 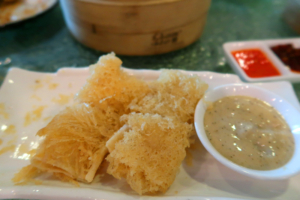 Our favourites are har kau, siew mai, stir-fried radish cake, custard bun, and crispy fried mango roll. Make sure you try those dish to blow your mind!! The location of Maju Junction Restaurant is also quite central, nearby the Medan Tuanku Monorail station. There is an elevated bridge from the monorail all the way to the Maju Junction Mall. Take the elevator from the outside (next to Parkson, opposite of the Tune Hotel) to the 5th floor. Alternatively, if you go by car, you can take a drive all the way to the 5th floor and park nearby the restaurant. I used to come here so often when I lived nearby Kampung Baru. It was my favourite place to have lunch. The price was also very cheap compared to other places in Kampung Baru. 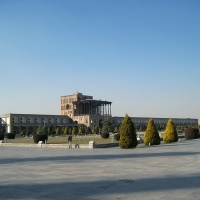 It is frequented by many university students and locals who live nearby. The fried chicken is to die for, and not to mention the perkedel (minced potato) and the fish dishes. Opening hours: Breakfast & lunch (TBD). Sunday closed. Judging by its name, this dish is not a Malaysian dish. I am not a Javanese so I can’t really verify if this dish is Indonesian or if it has been Malaynised. Either way, this place has been a favourite among the Malays here. It is the only stall in the food court of Kampung Baru to have a long queue every single morning. Opening hours: Be there before 9:30 AM as it gets very crowded and the dish may run out! 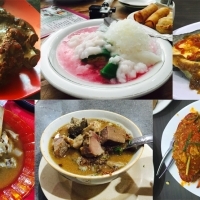 If you would like to taste a wide range of north-eastern Malaysian foods (i.e. Kelantanese) that won’t blow out your pockets, Anis Puteri is definitely the place to be! I didn’t know the existence of this place until my Kelantanese friend mentioned it to me. Located nearby my office, I used to come here every now and then during lunch time, so it’s usually packed with people who work around the area of Bangsar South. Usually, you will get overwhelmed with the choices of foods by the time you are here. Make sure you try the gulai kawah (beef gulai) which is my favourite amongst all. There are varieties of veggies, seafood, and meat available as well. The location is within a walking distance to Pantai Dalam KTM station. From KL Sentral, take the commuter train (KTM) direction to Port Klang and stop at Pantai Dalam station. The restaurant is inside a traditional brown Malay house. 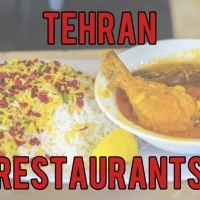 If you are planning to go to Penang, then this restaurant can be skipped as Penang has the best nasi kandar in the whole Malaysia (read my post here). Some people say that this is the best nasi kandar in KL. Some people think that Mohd Yaseen Nasi Kandar is the best. But I’ve been to this restaurant before and it was not bad at all! Yes you definitely should! Hope you enjoyed KL 🙂 Thanks for stopping by!